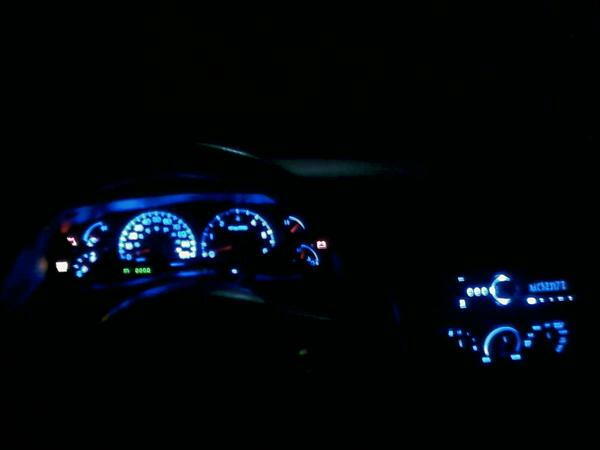 This was a pain in the a** removing the green paint on my gauges with acetone but I think it is worth it! That is enough of the pics. Now I want this done to mine but I am definitely to chicken to even attempt it myself. Blue LED conversions looks pretty sweet guys. I'd like mine to be red. alright guys, good news. i finally got my green film gone and the cool white leds came in the mail today. hopeing to get em installed this weekend and i will finally post pix. Check out V-Leds here or SuperBrightLeds here (scroll down to where it says #74). I used 6 of the more expensive SMT led bulbs for the always-on backlighting bulbs (the bulbs had a black base on my cluster), and five of the cheaper regular led bulbs for the five others. 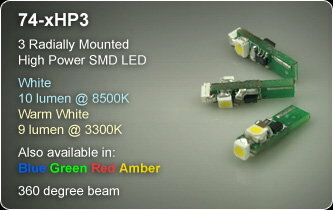 V-leds have always had the best price when I've compared, though the are currently out of stock of blue SMT #74 bulbs. As far as the how, check out res1eott's instructions for removing your cluster: https://www.f150online.com/forums/sh...d.php?t=297728. Once you have it in hand, there is a plastic shielding held on the back with torx screws. Don't remove them all at once, they hold the cluster guts together! I removed one or two at a time, replacing bulbs as I went. The bulbs are in twist bases, just be careful, they felt cheap to me. If your led bulb doesn't work right away, pull it out, spin it 180 degrees in the base, and put it back in. Led's have a polarity, where normal bulbs do not. I bought the first ones, the second ones were not an option in blue when I bought mine. Thank you! I removed the gauge face from the actual cluster (I removed the needles, don't forget to mark where the needles are before removing them; you can always go into HEC diagnostic mode to figure it out too) flipped it over (the back of the face) where there is green semi-transparent paint and applied acetone with many Q-tip's and scrubbed profusely. I also used a flash light to simulate the light shining through the face to see the areas that I needed to work on. I used the following bulbs available from Superbrightleds, as they provided the brightest and maximum angle coverage. Good luck!!! I did mine Friday night. Came out great, just not sure if I like the fact that the #74 blue leds don't spread the light around quite as much. I would certainly go with the wide angle ones if I did it again. I used a plastic fork to get the needles off and that worked great. Also, I got tired of scrubbing with q-tips and acetone and tried something new. I found out that these faces are rather tough. I used my dremel on it's lowest setting with a 1 1/2" BRASS wire brush. It worked great! It takes off the first two layers of paint and when you get that off you can hit it with the acetone and it comes right off! Awesome. Oh yeah, don't try this with the gear selection display. I ruined mine. Anyone know where I could get another one? I'll post pics later if anyone has any Qs. I ended up doing the odometer display and the acetone melted right through that clear part so I had to replace it with Theatre Gels (transparent colored plastic pieces they use on stage lighting for color) and glued it on, well everything is nice and blue now! Oh yeah, don't try this with the gear selection display. I ruined mine. Anyone know where I could get another one? For my XLT the part number for the gear selector is 4L3Z7A110AA and costs like $12. E-mail Domenic [email protected], he's always been super helpful to me. Just curious, how do you guys recalibrate your gauges after you put the needles back on? Was that for the original black? The correct way is to take it to someone and have them do it for you. I, on the other hand, zeroed out my gauges with the needle on just a little (enough for it to spin when it got to the stop) and then referenced the HQ pics I took before I started to get the pretty close.